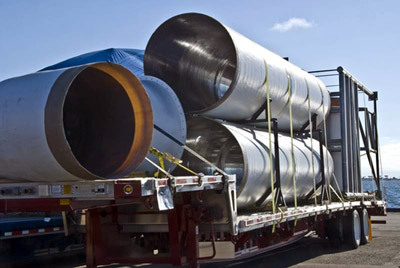 Our roll-on/roll-off vessels offer fully enclosed ventilated deck space that is the industry standard for shipping oversize cargoes efficiently and safely. Rolling stock and heavy cargoes on trailers are driven up the stern ramp and lashed into position by experienced stevedores. Any road-legal vehicle or trailer can be accommodated on our "high and wide" decks. Being totally sealed during ocean transit protects your cargo from the elements. 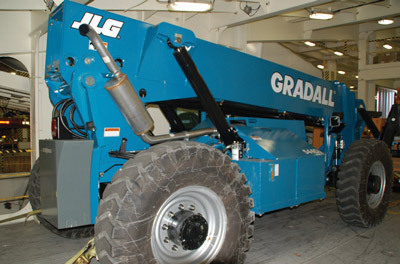 Machinery arrives as new without requiring expensive shrink wrap, special protectant sprays or other unique packaging often necessary on other carriers. The Jean Anne's main cargo door can accommodate a maximum height of 18' 2" (depending on cargo configuration) and width of 25' 5", while the Marjorie C offers a 39' 4" wide by 20' 8" high door opening with stanchion-free decks. Our team of specialists are also ready to assist with inland logistics for turnkey, door-to-door project solutions. 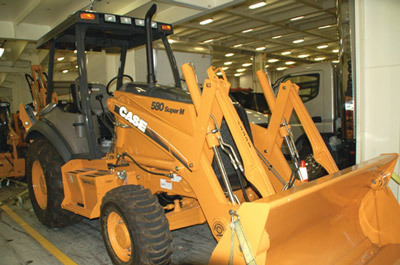 For oversize cargo shipments, call (866) 393-9831 or email OHW@pashahawaii.com.